Aloe vera -- An easy-to-grow plant that can clear formaldehyde from your home. As an added bonus, the Aloe gel is great for helping heal cuts and burns. Golden pothos -- Great at tackling carbon monoxide, benzene, formaldehyde and also it's easy to take care of this plant. Spider plant -- Okay, not the prettiest plant but perfect for the nongreen-thumbed readers. Don't need to do much to take care of this resilient plant. Meanwhile the spider plant will be busy removing all kinds of toxins like carbon monoxide from your house. 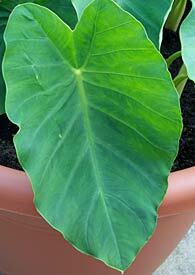 Elephant ear philodendron -- Great at removing formaldehyde. English ivy -- Great at removing benzene. Ficus -- This one is a bit harder keeping happy but you will be happy as it removes formaldehyde from your home. Peace lily -- This one is good at getting rid of benzene and trichloroethylene. Keep in mind, a minimum of two plants per 100 square feet of floor space in an average home is recommended, but basically, the more the better. So before the spring comes, go out to the store and bring some nature into your home and breathe a little easier! In 2006, Francesca Olivieri co-founded the company, sage baby an online eco-friendly baby store offering everything from organic clothes and skincare to furniture. In 2010, Francesca started her own green consulting business and is helping families make changes in their lives to "go green." She also writes a monthly blog for The Family Groove as well as contributing articles to Daily Candy Kids, Cookie Magazine, YogaCity, Citiscoop, and NRDC's simple steps. Francesca lives in New York City with her husband and three kids, ages 9, 7 and 4.